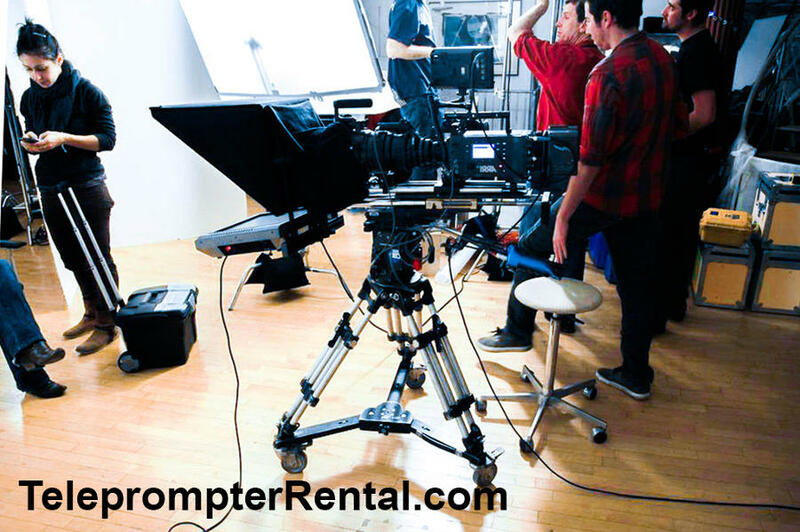 While we have both large and small teleprompters, our primary rental unit is the Autocue Professional Series 12″ pictured above. It’s an extremely versatile and reliable machine designed for demanding “real world” broadcast studio and location shoots. The copy is clear and easily readable in bright sunlight. To do this, a monitor must produce a minimum of 1000 Nits (Nits is the industry’s brightness standard). Our precision machines feature an outstanding 1600 Nits! 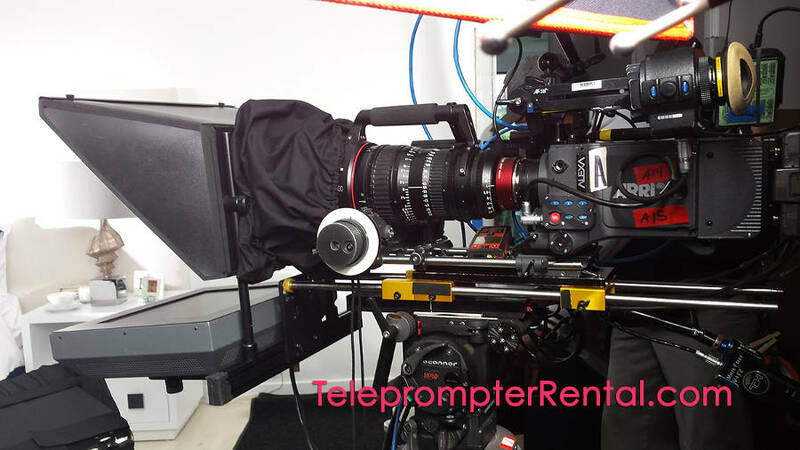 Our Gold Plate MSP 12″ mounts the prompter to a tripod using our totally adjustable “Gold Plate System.” It easily slides on a 15mm rail system with two sliding plates, one for the camera body and one for the lens. The rear of the Gold Plate rig holds one or more counterweights for use in balancing very lightweight cameras. If you are outside or away from AC power, our professional units can be powered from a battery pack (12v), which we can supply. This makes the unit perfect for use in even the most difficult daylight, or location broadcast situation. Our machines include a lightweight hood for easy transport to the set. It easily adjusts up or down to allow placing the lens to shoot through the exact center of the glass, with no need to adjust the camera. Our rental service provides you with a critical, free service upgrade. We call it “Platinum Prompter Plan.” In a word, “redundancy”. I’m using the word as it is used in engineering; the inclusion of extra components that are not strictly necessary to functioning, in case of failure in other components: a high degree of redundancy is built into the machinery installation. Redundancy is the only reliable antidote to Murphy’s law, “Anything that can go wrong, will go wrong”. Your shoot is always “mission critical”. To clarify: This popular term is defined as: an activity, device, service or system whose failure or disruption will cause a failure in business operations. We use the highest quality Gold Plate Professional units from Autocue. Unlikely though it may be, it’s still possible for something to go wrong! Connectors and cables may fail, so we always carry duplicates. The laptop could freeze. We bring along another laptop. In fact, it turns out to be a big bonus. Consider the advantage. You or your client can be modifying the script while the operator uses the other laptop to prompt. Then, as the edit is finished, our operator can quickly switch to the second laptop. Yes, we need an additional software license, but that’s part of what it takes to be a professional company. 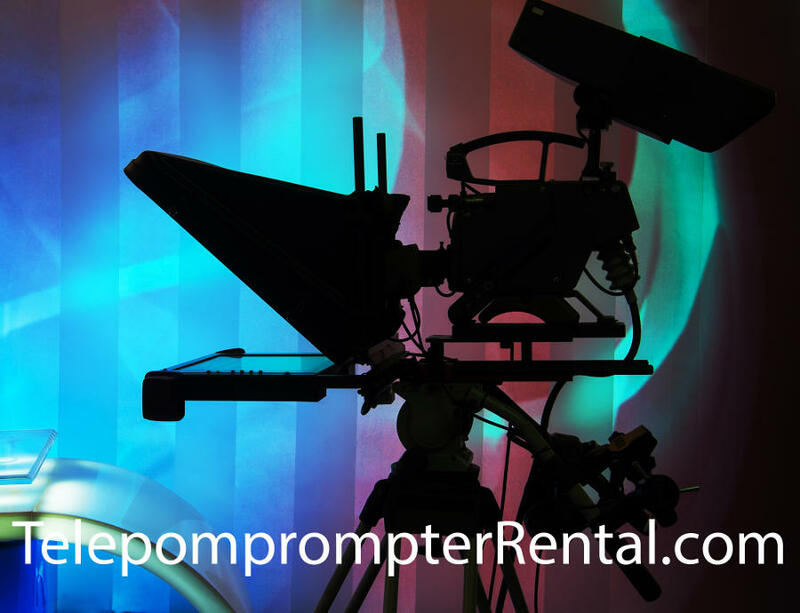 There are many different brands of prompters one can buy or rent. It is even possible to build a DIY teleprompter from scratch or even prompt from an iPad or an iPhone. So, why not do just that? 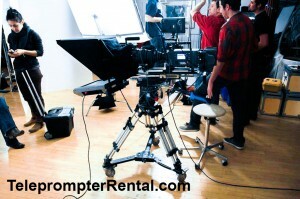 Do it yourself prompters can be acceptable, if you build them for one particular model camera. Too many things can go wrong. Why risk embarrassment and alienating your client? This is a great tool with which to practice. However, for use on a professional set it’s simply not a good idea. It may save you some money, but the Bluetooth controls are not precise and do not scroll the copy perfectly. The likelihood is that talent may lose his/her place in the script during the shoot. Retakes and utter frustration are often the result. In addition, the screen is quite small so reading it from a distance can be a real challenge. Another question: Why not rent from an individual owner/operator who gives the lowest price? Several issues come to mind. An owner/operator may not have the backup gear or a replacement operator at the last minute. There is no guarantee that their service is really on a professional level. They may not be able to keep pace with the talent. There is too much room for error. Don’t take that chance. Colgate commercial with Kelly Ripa. For a humorous journey through the history of teleprompting click here.